Last week was all about Christmassy stuff! My dad and I went on our annual Christmas market trip, the gift shopping frenzy begun, and we had a photoshoot with my sister-in-law and her family. I spent a lot of time sewing since I had to finish and ship several orders from my Etsy shop. So unfortunately I didn’t have time for garment sewing, but I did listen to a couple of Love to Sew podcasts. Their podcast is very well done and it’s so interesting to hear the stories of different indie pattern designers! A new episode is available every Tuesday. I recently added a lot of new A5 zippered cases to the shop! 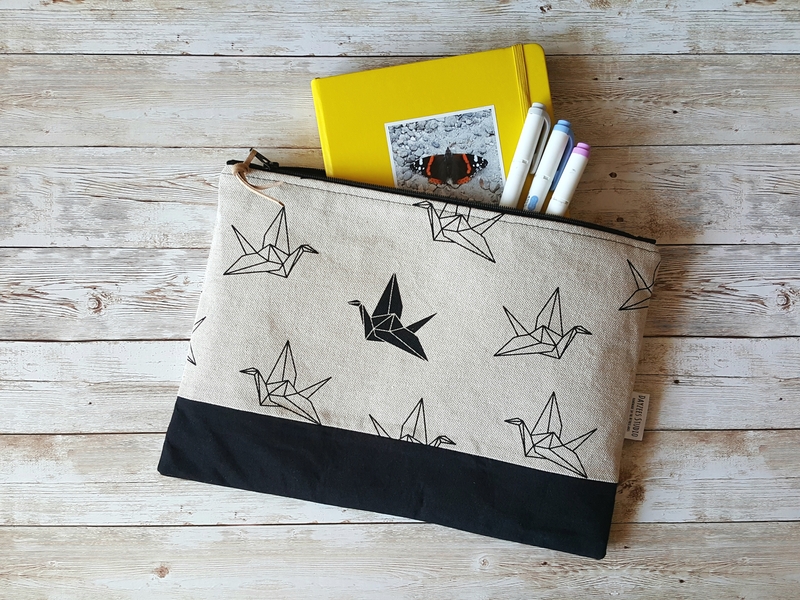 They are perfect for keeping your bullet journals, notebooks, sketchbooks and pens in one place. Each case holds up to two A5 journals like the Leuchtturm1917 and Moleskine. A large inner pocket with snap button makes it easy to find your favourite pens 🙂 Here are a few cases which are currently available at my shop! Looking for a different print, colour, size, lining colour? Feel free to contact me if you’d like something made for you! Before I started my bullet journal, I kept journals off and on over the years. I used notebooks and planners for journaling, photo’s, doodles and mementos. Nowadays my bullet journal pages are quite minimalistic and to the point. I love looking at people’s illustrated journals though, and realised that I miss that aspect of keeping a notebook. But I don’t want my to-do’s and important information to get lost in between doodles and decorations. So I got a new notebook for some sketch journaling and lettering 🙂 Here’s the first page! How do you use your journal? Do you prefer a clean look or do you decorate your pages? The sale runs from Thursday at midnight to Sunday at midnight, Central European Time. Author dayzeesstudioPosted on November 24, 2017 Categories Etsy shopLeave a comment on Black Friday weekend! 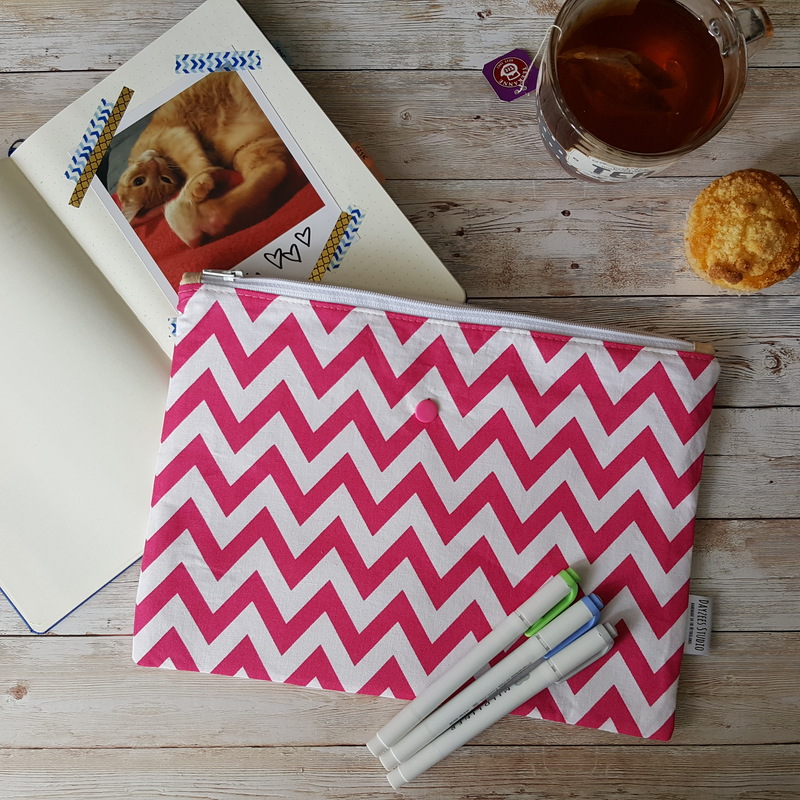 It’s getting a bit darker outside, but this bullet journal case will surely brighten your day! 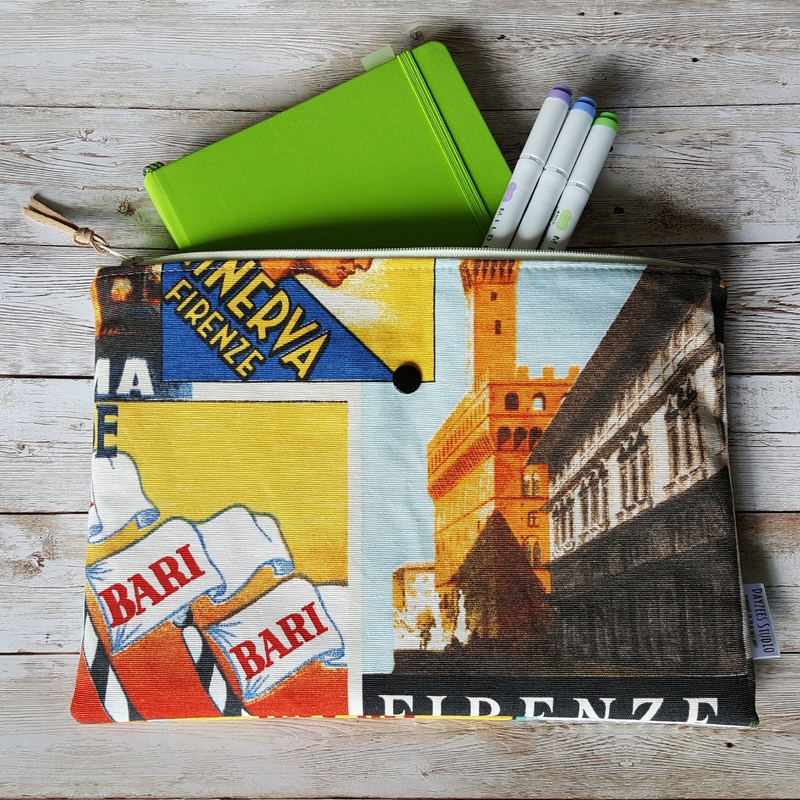 The bright print on sturdy canvas reminds of beautiful Italy with a retro vibe. 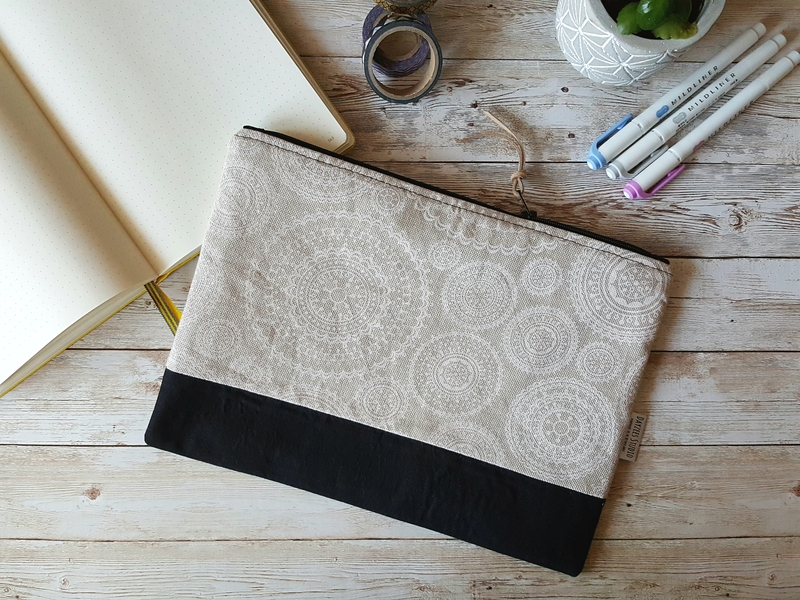 The case holds up to two A5 journals and features an inner pocket for pens, stickers, washis etc. Check it out at the Etsy store for more photo’s and information!